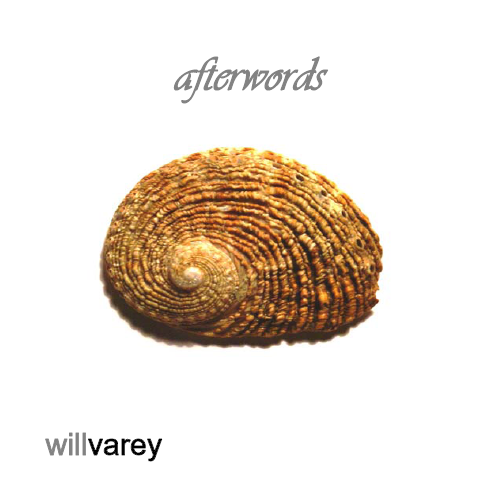 I released last month my second album, AfterWords, on a^ musics. It contains twelve tracks in a modern jazz style in my own genre of mind-numbingly boring inspirational jazz. This album continues a theme in my work of expressing in music that which cannot easily be explained in words. Hence the title and the story behind this project. Because my research work is heavily focused on the formation of conceptions of mind, I have become intrigued at the dynamics that entrain and constrain these forms. One of the most fundamental human concepts that enable and constrain us is our concept of time. My favourite author on time is the esteemed J.T. Fraser, and his Of Time, Passion and Knowledge is a cherished exploration of the complexities of this topic. Rather than go to the macro-history of human and evolutionary time, AfterWords is an exploration of how time is formed for us by the asynchronous rhythms of the human body. While chronobiology concerns many external influences of the rhythms that govern our movements and moods (i.e. diurnal light, tidal, seasonal etc. ), our circadian clocks are self-sustained by our own body's oscillating functions independent of daylight. The 23.5 hour body clock, doesn't just run out, it also runs up, as a nested set of interlinked rhythms. The music on this new album explores the 'sounds' of those rhythms and their relationship to each other. The proposition is that they are interdependent and together create the framework of human stability. The human form, and the formation of consciousness and identity reliant on that form, are configured as a panarchy of entrained systems. From micro-movements of the eye in microseconds to replacement of the cellular and skeletal form over years or decades, our bodies repeat in cycles of recurrence. The AfterWords album contains music that takes a central tone and provides improvised variations in lyrical lines and rhythms which are slightly asynchronous to the governing theme. If you listen carefully, these songlines will vary within a range and return to resolution at completion. The effect of listening to all tracks is an awareness (and depending on the listener) and alignment of all of these rhythms. It is a process of listening to the self-concept of time by attention to its patterns of formation within. The album tracks in turn explore: mood (endocrinal), balance (vestibular), reproduction (ovulation-gestation), food (gastroenterological), blood (cardiovascular circulatory), sleep (somnolistic), breath (respiratory), chi (subtle-energetic), virals (lymphatic), sight (microsaccadic), cell (mitosistic) and thought (neurosynaptic). What was interesting in researching and forming these particular distinctions was how medicine has names for separate body functions (e.g. digestion, skin functions) yet not for whole systems and their linkages. It seems ... we are not yet ready to see fully the panarchy of our own anatomy, and so the understanding of the dependent cycles of our collective conceptual ecology, remains a project in formation.